We are a small Toastmasters Club with a huge heart. We believe that the key components to becoming a competent speaker and leader, is the sincere support of those around you; as well as having lots of fun along the way! What's the point otherwise, right? 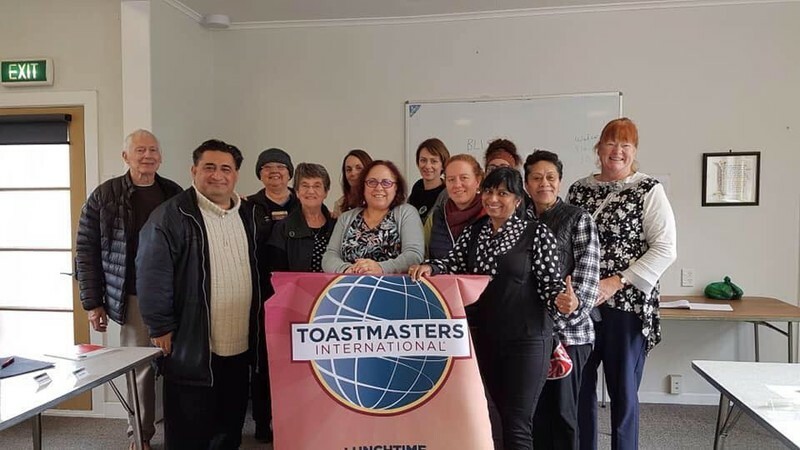 If you visit our Facebook page, 'Lunchtime Toastmasters Rotorua', you will come to see that we are all lifelong learners of this wonderful craft of public speaking. We do this through a learn-by-doing process, backed up by peer-to-peer feedback. We reckon that's the best way too! You see, every opportunity is an opportunity to improve. Any hiccups you experience (and you will), throughout your journey to self improvement, are not events to be feared or embarrassed by. On the contrary. Embrace them. Let your mistakes fuel the fire in your belly! Because that is where the magic happens! If you're interested to know more... Come join us!